Hey everyone, I return to https://joedichiara.wordpress.com with the first completed character art for the last installment of my “Hip-Hop Beef” illustration series. As I posted last week, the final artwork will be for arguably the most famous and popular beef or “The Notorious B.I.G. vs. 2Pac” a.k.a. the “East-Coast vs. West-Coast” rivalry. 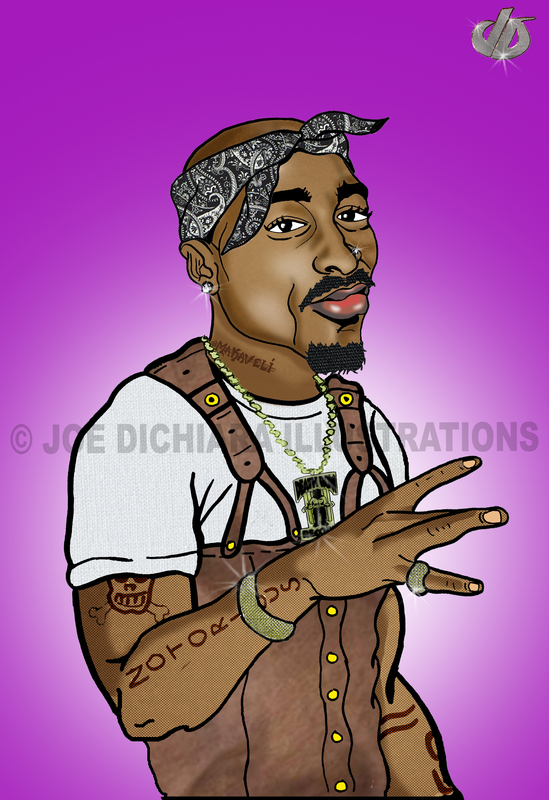 Today, I am posting the finished individual art for one of my all time favorite hip-hop musicians Tupac Shakur. Be sure to check back to https://joedichiara.wordpress.com and make sure to log onto http://www.joedichiara.com for the finished Notorious B.I.G. artwork and much more.